A “flash mob” is a group of people meeting in a crowded public place for the purpose of engaging in a coordinated, unexpected, inspiring activity. 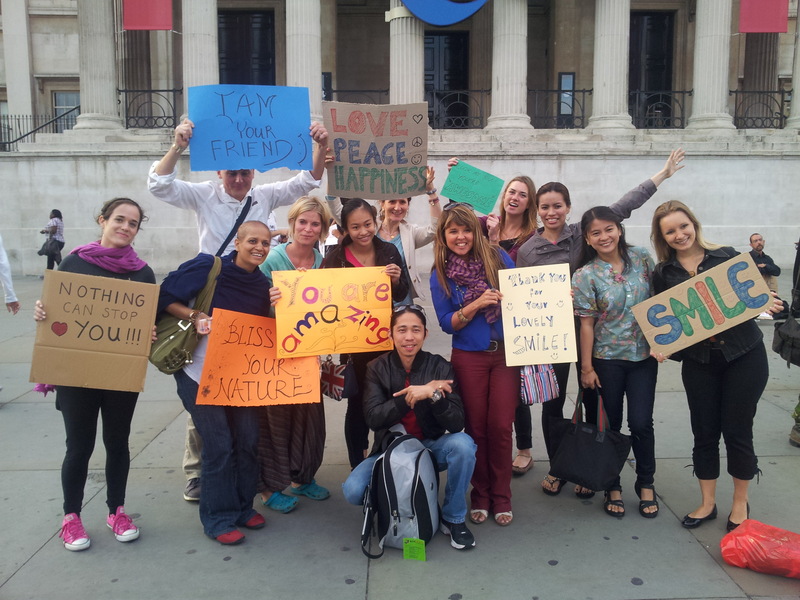 Wake Up London regularly organizes flash mobs that promote meditation and positive social action. We invite everyone everyone, from all walks of life, of all ages, and from all faiths or of none, to come together peacefully in a place in Central London. Click here to see videos, pictures and press articles. 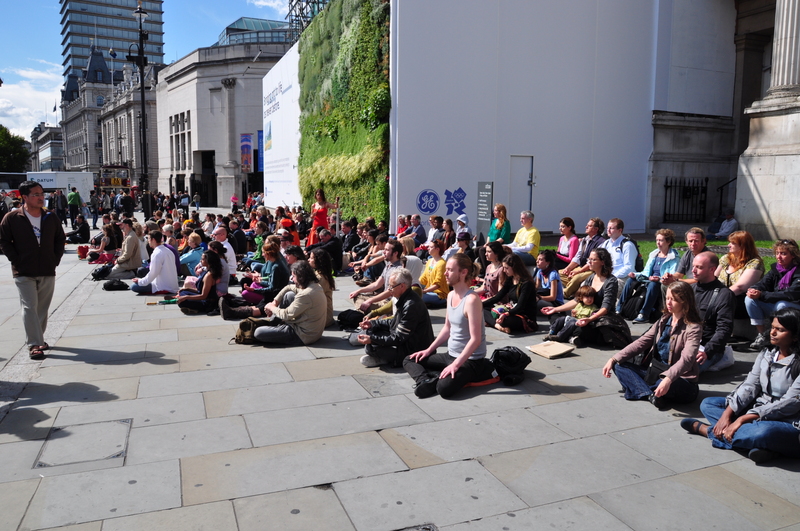 Our first meditation flash mob took place in Trafalgar Square (see picture above) on 2nd June 2011. Hundreds of people gathered in the centre of Trafalgar Square and sat in meditation for 40 minutes. We received many positive responses and were encouraged to organize more gatherings! Since then, we have been inspired to continue our meditation flash mobs every month and bring our peaceful presence to highly visible areas of Central London. 1. To create an environment for people from all walks of life to come together in meditation. 2. To spread awareness of meditation to the public. 3. To come together as a community to send positive intentions out into the world. This is an initiative which started in May 2012 to expand positivity in our world and make people smile – and it works! You can sign up here for invitations to our flash mobs.